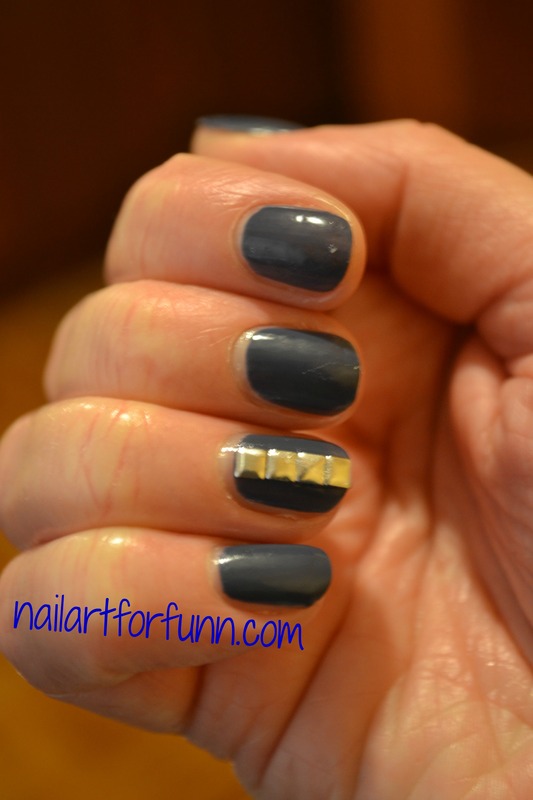 silver | Nailart for funn! Here’s a look inspired by a beautiful dark blue dress I saw the other day. 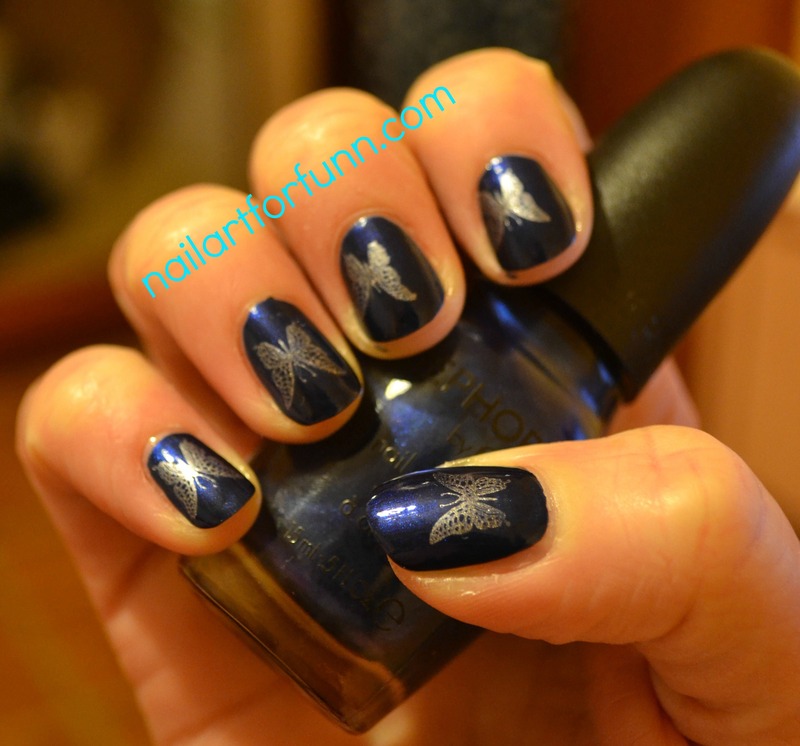 This Sephora by OPI polish (Opening Night) is a perfect match with it, and I think the butterflies add a little magic to the look. 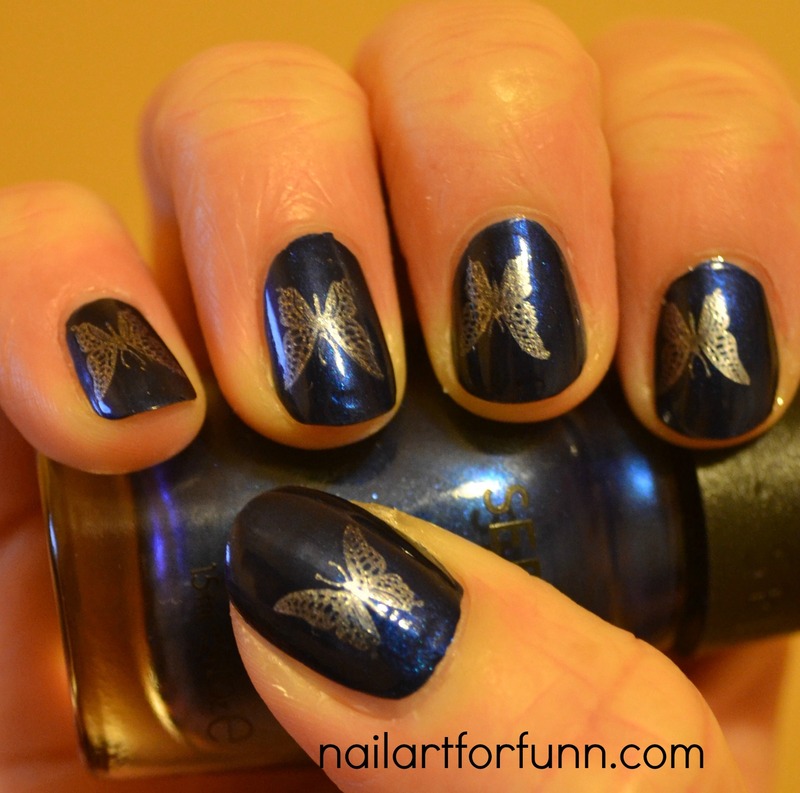 I used Konad stamping plate m21, and Konad silver stamping polish. The butterflies are really not that visable, it’s only when the light hits them, or if someone is really looking closely that they appear. 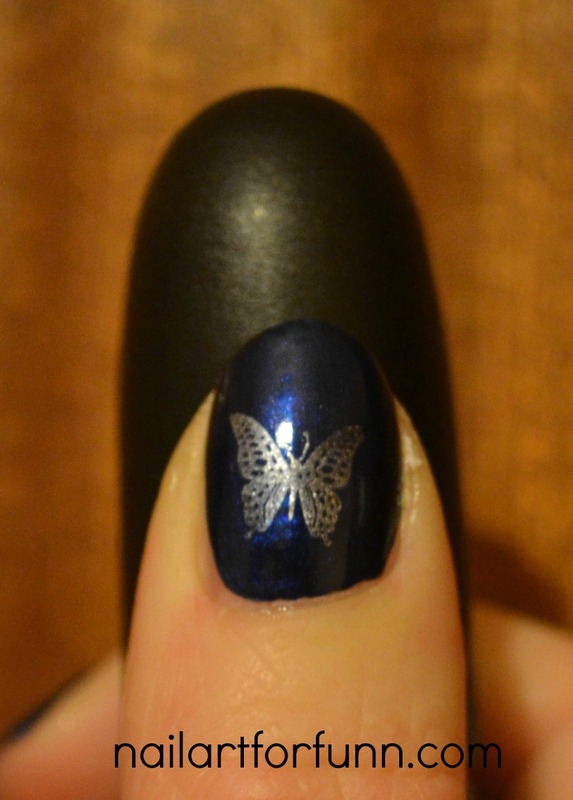 Categories: Nail Art, Stamping | Tags: beauty, dark blue, Konad, m21, nail art, nail polish, OPI, Sephora, silver | Permalink. I’ve finally broken out my square silver studs, I bought them on G-market when I lived in Korea and kind of forgot about them. The navy nail polish brand is called Elle Girl 36. I got it in an Olive Young store in Seoul. I’m not sure if those stores are common elsewhere. It was really cheap but I like the colour and the quality of the polish. It took about three coats to make the colour even. The polish spread really well and application was smooth. It also dried quite quickly. I thought that these studs might annoy me. but actually they are really really flat. Once they’re on it’s easy to forget they’re there. 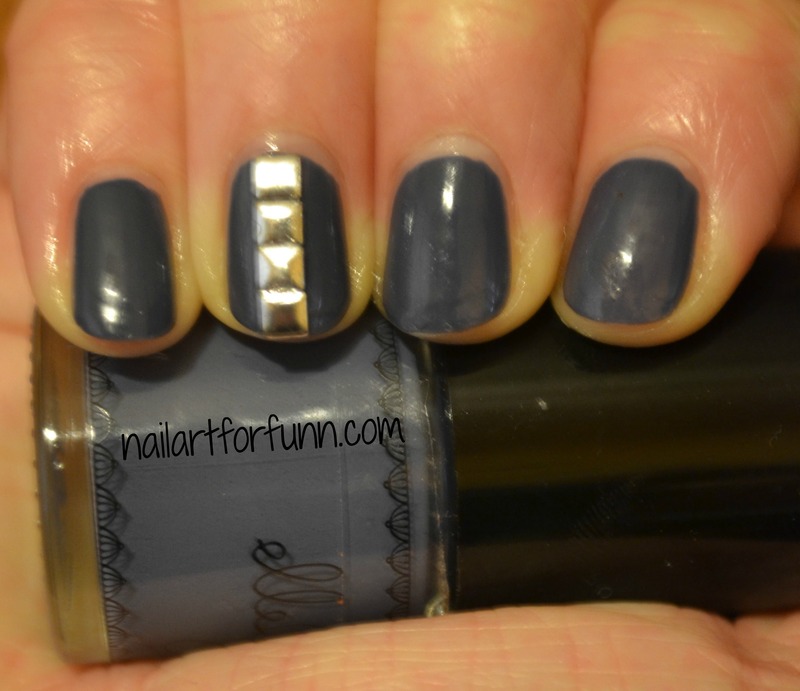 Categories: Nail Art | Tags: elle girl, silver, studs | Permalink.